An homage to the lacey Victorian Christmas ornament, reinvented in glass and copper. The finished piece measures 4.5" wide and 8" long and is equally beautiful indoors or out (we hang ours outdoors - it runs less risk of danger from Mother Nature than from our cats!). The sun shining through just makes this piece come alive! 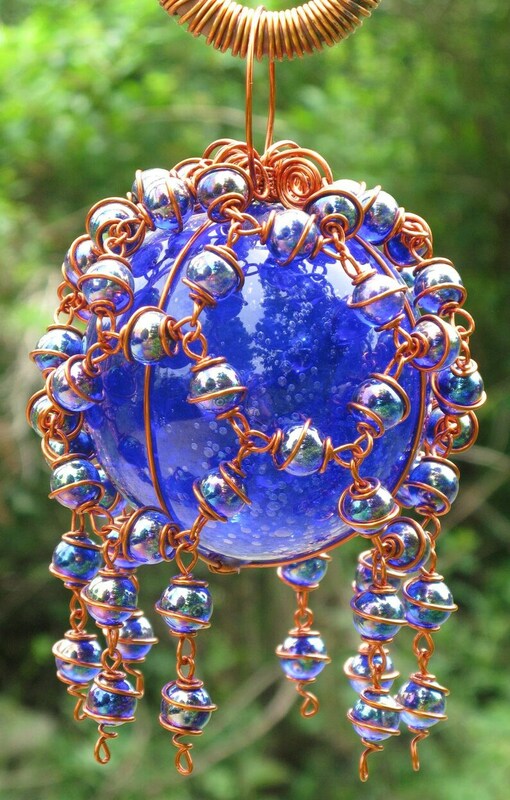 This gazing ball is ready to ship and will be mailed Priority Mail within one business day of payment. All of our items are handmade in a non-smoking, pet friendly home.